In this video we will discuss how to use url parameters with ui router in angular. Let us understand this with an example. At the moment when you click on any student name on the students page, the student details are not displayed as expected. 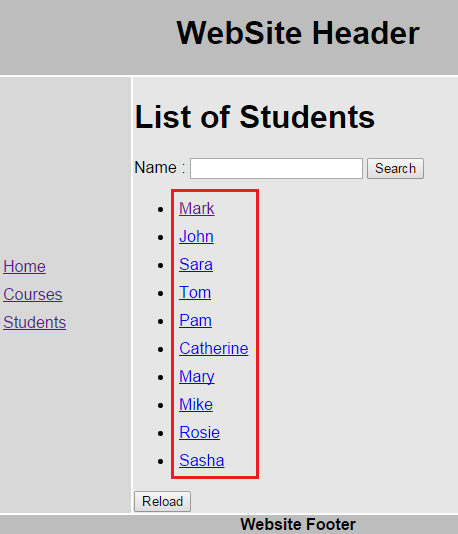 When we click on a student name, we want to pass student id as a URL parameter and on the subsequent page, we want to display all the details of that specific student. There are 3 steps to use URL parameters with states in angular. Step 3 - Access URL parameters : To access URL parameters, use $stateParams service. Notice the parameter name is used as a property on the $stateParams service. 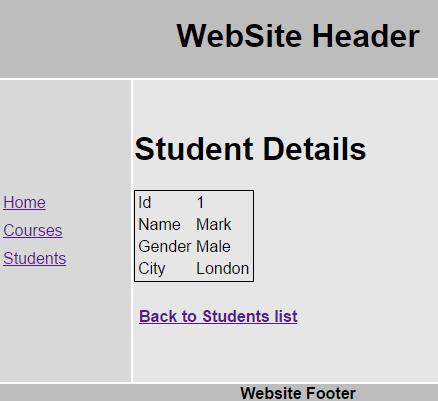 Finally to link back to list of students page, use ui-sref attribute on studentDetails.html as shown below. Test the application : With all these changes if you click on a student name, the respective student id should be passed in the URL and on the subsequent page we should see that specific student details.